Retail Brand Sheet - Who is SparkFun? 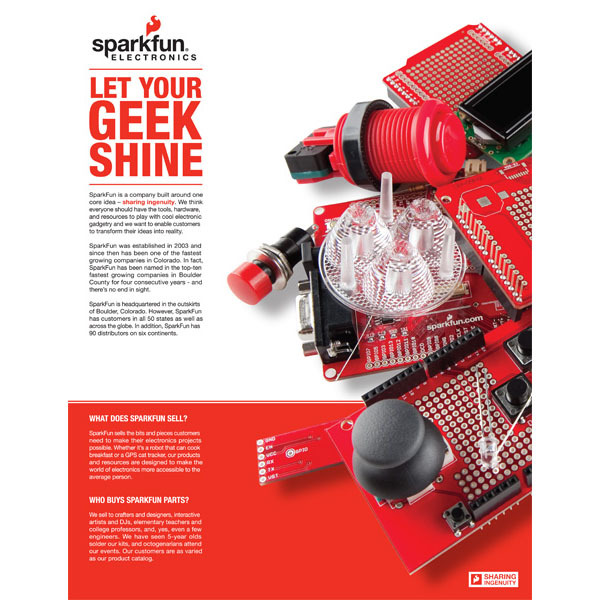 This 8.5" by 11" pamphlet is a great way for retailers to introduce the SparkFun brand from their retail displays. Have them for customers as informational take-aways. You can use the file below to print your own. If you don't want to print your own, you can get them from us. You guys should get RadioShack to be a distributor, then i wouldn't have to wait 4-5 days to get the AMAZING quality parts you guys sell!! !